What would you do if one day your doctor told you: “Your life will never be the same; you need to make drastic changes and if you don’t, you will die?” When I was only four years old, those were exactly the words a doctor said to my family and me; it was September 8, 1993 and I had just been diagnosed with juvenile diabetes. 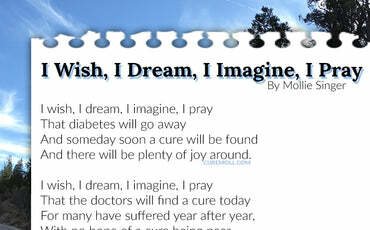 Over the past eleven years, I have dreamt of what it will be like when the doctors cure diabetes. In every quiet moment, I think to myself over and over again, two very precious words, “you’re cured!” I silently scream with utter excitement and cry tears of joy, collapsing with relief, as I try to decide whom to call first, whom to thank. In my dream, I am sitting at home when all of a sudden the tranquility is broken with the ring of the phone. My mom answers it and all I hear is her quietly sobbing, unable to speak. She cries for me as a doctor on the other end of the phone tells her they have cured diabetes. My dream is overdue only because researchers have not yet found the cure for juvenile diabetes, a disease in which one person is diagnosed every 3 minutes. However, over the past ten years, the researchers have come closer and closer to curing this God-awful disease and they have made major progress in the prevention of diabetic complications. Knowing this, I try to be strong, but sometimes the pain, frustration, and fear is overwhelming and at night, while others are peacefully drifting off, my mind is cluttered with “what ifs,” I eventually cry myself to sleep. Diabetes is filled with frightening unknowns that are tempered with the realization that someday my dream will be a certainty. There are many reasons why I dream of a cure for diabetes and why I will never give up; after all, it takes as big a toll on your mental stability and self-confidence as it does on your physical well being. There are times when I am with my friends just trying to be a normal teen, who wants to look and dress like other kids. However, being forced to do simple things like always carrying a big purse, so I can bring my diabetic supplies, the things I need to stay alive, such as glucagon, a life-saving medication that raises a person’s blood sugar if it drops critically low, means I can never be a typically fashionable teen. Also, young diabetics regularly encounter discrimination, some subtle and some not so subtle, from both their peers and adults who naively believe diabetics are a hassle, which for many diabetics leads to frustration, lack of self-confidence, and depression. 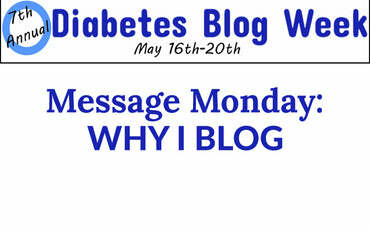 I hate being different and having a devastating disease like diabetes, but I also know I am blessed. I have an incredible support system in a family and extended family that loves me, especially my sister. Also, as much as I despise being a diabetic, I am grateful to have a disease that even with complications is usually manageable, unlike others who live with terminal illnesses and who have no hope, which is why I always pray for their cure first! I still believe in my dream, no matter how long it takes to come to fruition. I know a cure will be found in my lifetime, I only wish I knew when. But, until my dream comes true, I will fight to keep it alive by helping to bring about diabetes awareness, advocating for a cure in Washington, raising funds for medical research, and mentoring newly diagnosed teens. These activities keep me very busy, but what raises my spirits is the ability to visualize the day the miraculous news is announced and my family and I can celebrate my new healthy freedom by throwing the biggest party ever! When my dream is finally realized and it will be, I will no longer have to worry about testing my blood sugar and constantly poking tiny holes in my fingers. No more shots, or changing insulin pump sites, no more embarrassing high blood sugar that gives me excruciating leg cramps and blurs my vision so badly that it prevents me from reading in my early classes, or low blood sugar that makes it impossible for me to think clearly, or function in any acceptable manner. Finally, when my dream becomes a reality, I will actually be able to imagine the one period diabetics avoid thinking about, the future. Above all, I will finally be able to give up the guilt I have felt since the day I was diagnosed for inconveniencing and worrying my family and friends. 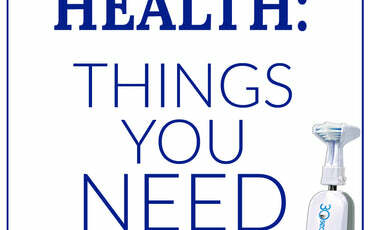 With a cure, unpredictable health problems will no longer be a concern and there will be nothing to prevent me from achieving my goal. Someday, my dream really will come true, some day I will once again know what it feels like to be normal!